With each TCU athletics win, interest in the university rises from students around the world – both from students looking to attend a great school with good sports programs and from students who want to play themselves. This is not a phenomenon unique to TCU, however. A crowd of about 200 students and faculty members was at the Brown-Lupton University Union to hear Dr. Doug J. Chung of Harvard University lecture about his research on schools and the effects of their intercollegiate athletic programs. Chung spoke about the “Flutie Effect,” which he described as “an increase in exposure and prominence of an institution after athletic success.” He was highlighting the correlation of students’ interest in applying to a school after the school experiences athletic success. The Flutie Effect was named after College Football Hall of Famer Doug Flutie, who threw the game-winning desperation pass in 1984 against the University of Miami during his time at Boston College. This game had a massive effect on Boston College in the following years. In a spring 2003 edition of the Boston College Magazine, the director of communications for the Lynch School of Education, Bill McDonald, determined that applications to the school surged 16 percent in 1984 (from 12,414 to 14,398), and another 12 percent (to 16,163) in 1985. TCU, in recent years, has gained a lot of national and worldwide attention because of its successes in athletics. 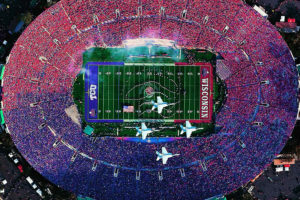 TCU’s biggest success, arguably, that attracted interest to Fort Worth was the Horned Frogs’ Rose Bowl win over Wisconsin in 2011. After winning in Pasadena, California, TCU gained over 5,000 more applicants than the previous fall. According to data provided by ir.tcu.edu, in the fall of 2010, 14,079 first-year students applied to TCU, while the fall of 2011 saw 19,166 applicants. 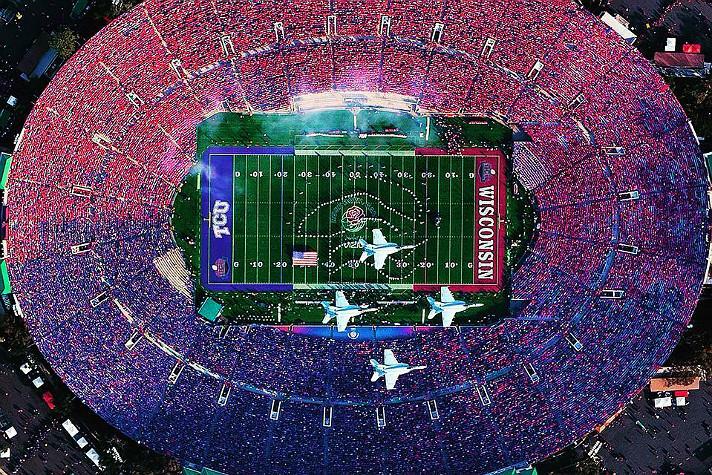 Cohen may be right about the Rose Bowl getting Californians to come to TCU. In fall 2010, only 363 undergraduate students were from California wherein 2016, 1,157 of undergraduate students are from California. The number of first-year applicants has steadily risen from 2014 through 2016 as well. From fall 2014 to fall 2015, applications rose from 17,029 to 18,422, which would have followed the stomping of Ole Miss in the 2014 Peach Bowl. They then rose again in fall 2016 to 19,960 after the miraculous triple-overtime comeback against Oregon in the 2016 Alamo Bowl. Athletic success and growth also comes off the heels of rebuilds of basketball’s Daniel-Meyer Coliseum into the new Schollmaier Arena, the renovations of Lupton Baseball Stadium, the building of sand volleyball courts next to the University Recreation Center and success in many other sports on campus. In addition to football, many people also credit TCU’s success in Omaha, Nebraska, as the baseball team has made it to the College World Series three years in a row since 2014 – the only team in the country to do so. But, Stein also says that TCU does a great job of being the best possible university for students when they come, so the combination of good academics, atmosphere and athletics makes TCU such a smart choice. Tickets sales are at an all-time high, recruiting is booming and Horned Frog pride isn’t just in ‘Funkytown,’ but all around the country. Cohen, when asked about the progression of athletics, said there are a lot of things that help propel the Athletics Department forward. “You look back at 2011 – the year we went to the Rose Bowl – we were still in the Mountain West, and our season tickets that year, something like 13,000 maybe and now you fast forward 6 years and now we’re at 34,000, sold out, with a waiting list and we’ve sold out of football season tickets now 4 of the last 5 years since we joined the Big XII in 2012, which also was the first year of Amon G. Carter Stadium after its rebuild,” Cohen said. He also talked about the hype surrounding the men’s basketball season as they prepare to start their season. Cohen also talked about how recruiting has grown tremendously over the past few years in all sports. He said TCU used to lose battles with other schools for recruits because the player wanted to play in a better conference like the Big XII when TCU was not yet a member. Now that TCU has been in for a few years – and they’re winning – “it’s helped immensely,” Cohen said. Another huge thing that Cohen said has helped TCU be so successful getting their brand out is sports marketing and social media. “Recruiting is year-round and the best source of information for them is right in their phones in social media,” Cohen said. He said the Athletics Communication staff places a heavy emphasis on social media, outreach and accessibility. For recruits, donors, season ticket holders and other constituents, social media is the primary means of communication besides email and their athletics website. Giving praise to Chris Del Conte, director of Intercollegiate Athletics, Cohen said that he doesn’t know another athletic director that is more accessible than Del Conte. Cohen added that he believes athletics has been successful PR for the school.